Archival pigment, printed 2009, 24 x 17 in. Steven Kasher Gallery is proud to inaugurate its 2010/11 season with the exhibition Max's Kansas City, on view September 15th through October 9th. It will feature over 150 vintage and limited edition photographs, and monumental sculptures and paintings by the inner circle of Max's artists, including John Chamberlain, Forrest Myers, Larry Zox, Neil Williams, and Andy Warhol. A highlight will be Myers's recreation of his famous laser/jukebox installation. 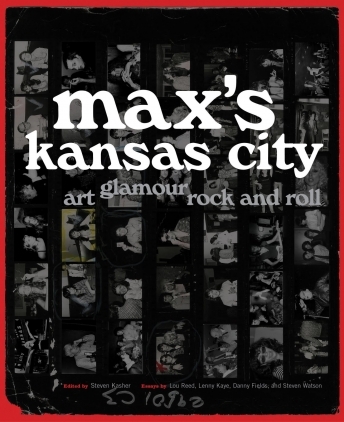 The exhibition will launch Max's Kansas City: Art, Glamour, Rock and Roll (Abrams Image, Sept 2010), a vibrant chronicle of the famed venue. 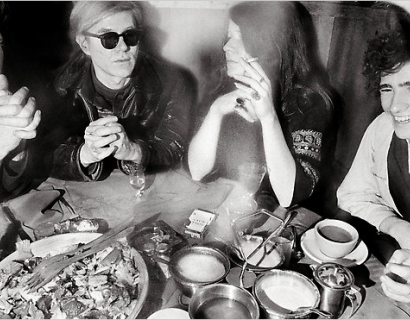 The book will feature luminous photography by Bob Gruen, Anton Perich and others, and writing by Lou Reed, Lenny Kaye, Danny Fields, Lorraine O'Grady, and Steven Watson. It is edited by Steven Kasher. A concurrent show, entitled Artists at Max’s Kansas City: Hetero-holics and Some Women Too is being mounted at Loretta Howard Gallery. Visit our website to view images from the show www.stevenkasher.com.